The first of its kind in Thailand, enjoy a state-of-the-art theatrical performance that combines 4D projection mapping and live action! Be awed by a spectacular cinematic live performance with a gripping storyline by watching KAAN Show! Book shared transfers for hassle-free travels to the KAAN Show in Pattaya! Excited, Awesome my children very love it and want to see again. Get US$1.4 back in Klook credits for your next trip when you book this activity! Complete this Klook activity to get 5% of the activity cost back in free credits to use on your next booking. For example, book US$28.29 to get US$1.4 free credits. 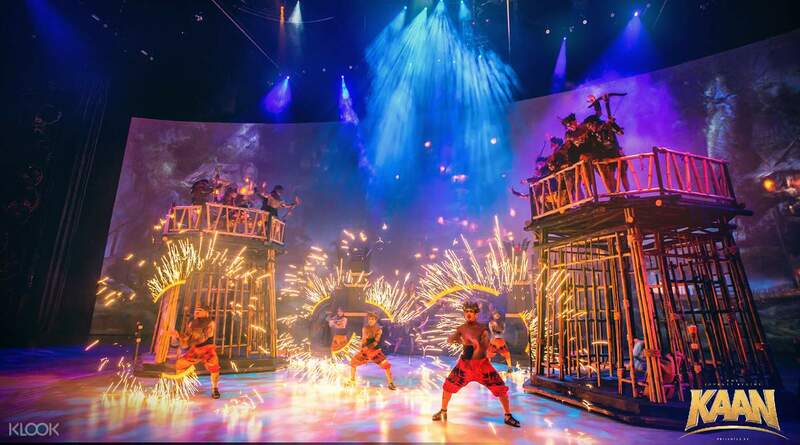 A thrilling world of Thai folklore and mythology will open its doors to you all by watching the KAAN Show in Pattaya, the first of its kind in Thailand! Book your KAAN Show ticket and choose either a Sky, Cloud, Ocean, or Star seat – wherever you are, you'll find yourself at the edge of your seat as you witness a groundbreaking show that combines stunts and dance sequences with audiovisual technology. A breathtaking theatrical performance of some of Thailand's most famous literary stories awaits you: from Ramayana, Prince Apai Mani, Krai Thong, and more! 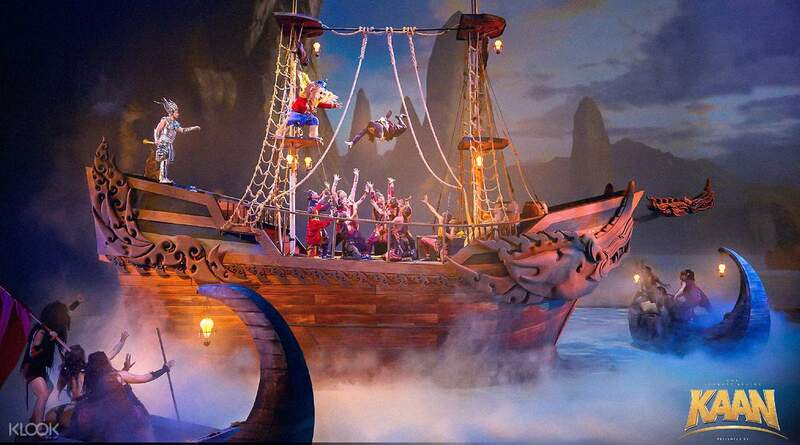 Go on an epic adventure and enjoy the cinematic and theatric wonders of the KAAN Show. one of the best shows I have seen in Thailand. The effects, animatronics, characters and eveything in between was intense and left me wanting more and more. It's also great to see a production allowing for people to take photos of the performance as the performance is definitely something you will want to photograph. we loved every minute of it and the procedure of getting in using Klook was a breeze 10/10 would definitely see again! one of the best shows I have seen in Thailand. The effects, animatronics, characters and eveything in between was intense and left me wanting more and more. It's also great to see a production allowing for people to take photos of the performance as the performance is definitely something you will want to photograph. we loved every minute of it and the procedure of getting in using Klook was a breeze 10/10 would definitely see again! Good fun for the kids. Creative mix of set work and screen displays. The kids liked how the show wasn't just on the stage. It was up above and thru the audience. Real elephants were an interesting touch. Klook doesn't have the same seating chart as the theatre. The cloud and star sections are different. Good fun for the kids. Creative mix of set work and screen displays. The kids liked how the show wasn't just on the stage. It was up above and thru the audience. Real elephants were an interesting touch. Klook doesn't have the same seating chart as the theatre. The cloud and star sections are different. it was an amazing show. the organization is also for five plus: it was very convenient to buy bidets through the app, there were great places, I liked the show. I highly recommend everyone to go and see it for themselves. it was an amazing show. the organization is also for five plus: it was very convenient to buy bidets through the app, there were great places, I liked the show. I highly recommend everyone to go and see it for themselves. Best experience ever! The show is so creative and full of entertainment! We booked Ocean seats and it was really exciting and amazing. All souvenirs are so cute as well, the transfer service is good too. Best experience ever! The show is so creative and full of entertainment! We booked Ocean seats and it was really exciting and amazing. All souvenirs are so cute as well, the transfer service is good too. This was by far a great show!!! The story is good, the visual effects is awesome, the characters are funny, and so on ... It’s done in a professional way and the actors are humble when taking pictures with them. This is a must see show!!! This was by far a great show!!! The story is good, the visual effects is awesome, the characters are funny, and so on ... It’s done in a professional way and the actors are humble when taking pictures with them. This is a must see show!!! Great show. feel longer than expected. non stop action with good props and surprises with comedy included in the show. some of the characters were outside for photo session before the show begun. Charge for taking photos after the show was reasonable, as the tickets for the show was already I would not say expensive but surely value for money Thanks to Klook. would recommend it. Great show. feel longer than expected. non stop action with good props and surprises with comedy included in the show. some of the characters were outside for photo session before the show begun. Charge for taking photos after the show was reasonable, as the tickets for the show was already I would not say expensive but surely value for money Thanks to Klook. would recommend it. Spectacular show. Really well done and must see. Price in Klook is 50% cheaper. Our seat is in the middle and right after the higher class. Super satisfied as we also get a nice seat for Siam Niramit show that we also book from Klook. The place is well maintained, service is good. You can only take picture with phone camera. The dragons and other creatures look very realistic both in appearance and movement. You can take picture for free with the casts after the show. Will definitely recommend this to anyone visiting Pattaya. Spectacular show. Really well done and must see. Price in Klook is 50% cheaper. Our seat is in the middle and right after the higher class. Super satisfied as we also get a nice seat for Siam Niramit show that we also book from Klook. The place is well maintained, service is good. You can only take picture with phone camera. The dragons and other creatures look very realistic both in appearance and movement. You can take picture for free with the casts after the show. Will definitely recommend this to anyone visiting Pattaya. The show was awesome. Amazing characters with exciting story line. I think the sky seat area is too far from the stage. 4D effect was great. Overall, it's worth it. The show was awesome. Amazing characters with exciting story line. I think the sky seat area is too far from the stage. 4D effect was great. Overall, it's worth it. interesting show in Pattaya. Good effects! The story is cool too. We really like it. Can recommend anyone who like this kind of theater entertainment. Klook price with discount is a good deal! interesting show in Pattaya. Good effects! The story is cool too. We really like it. Can recommend anyone who like this kind of theater entertainment. Klook price with discount is a good deal!